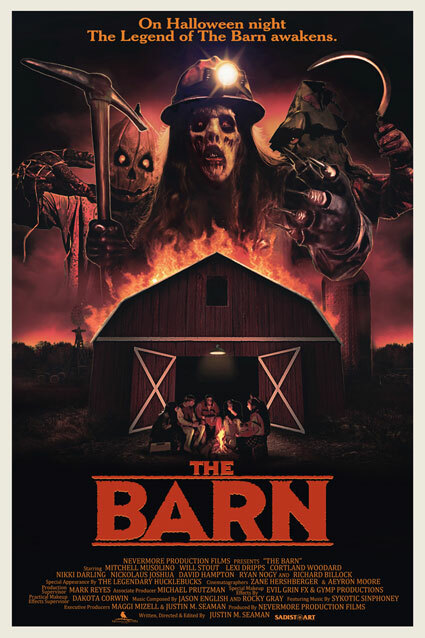 The Barn is a new ’80s throwback that takes place on Halloween night, set to scare up a killer time this October, and Halloween Daily News is excited to bring you some exclusive new images from the independent film, including your first ever look at Ari Lehman (the original Jason Voorhees in Friday the 13th and lead singer of First Jason) as “Dr. 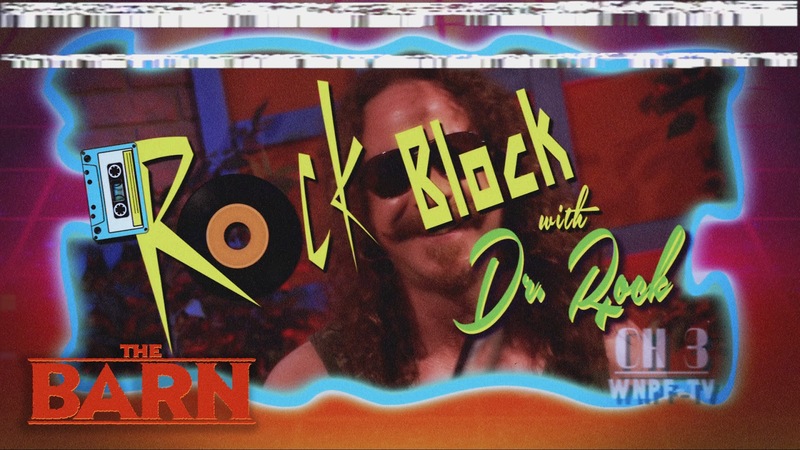 Rock” (pictured below). 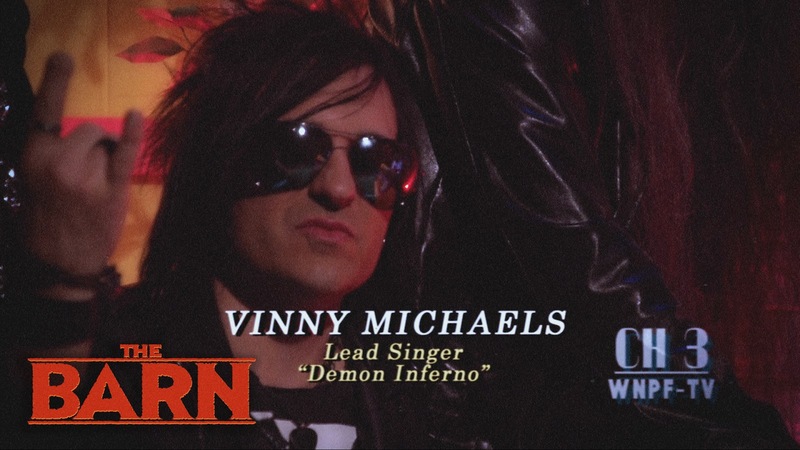 Director Justin Seaman explains that the accompanying photos are “from a scene where the two main characters (Sam and Josh) see a special Halloween episode of The Rock Block with Dr. Rock on TV and get the idea to go see the rock band Demon Inferno which leads to very bad things.” The part of rocker Vinny Michaels is played by real life rocker Matt Starr from the band Roxy Mae. 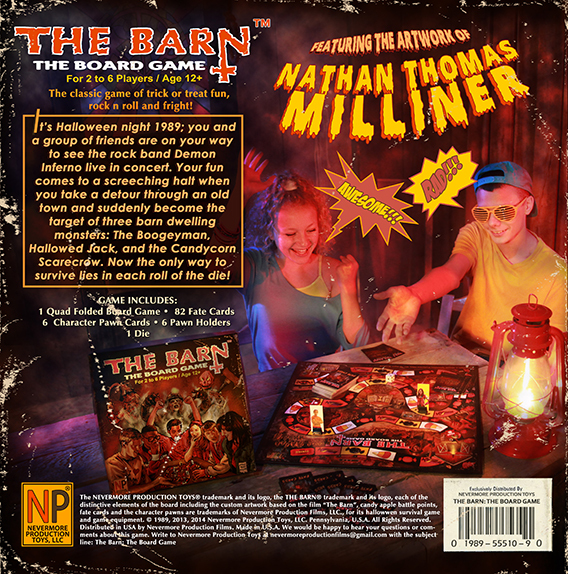 Read on for the full synopsis of The Barn and watch the official trailer, and then scroll down to view the poster and more exclusive images and art from the film! 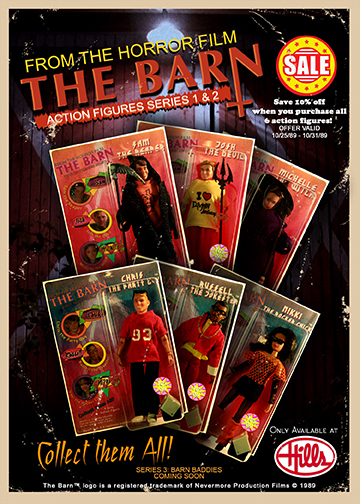 From writer-director Justin M. Seaman, THE BARN is a new film created to give fans of 1980s horror a bloody good time. 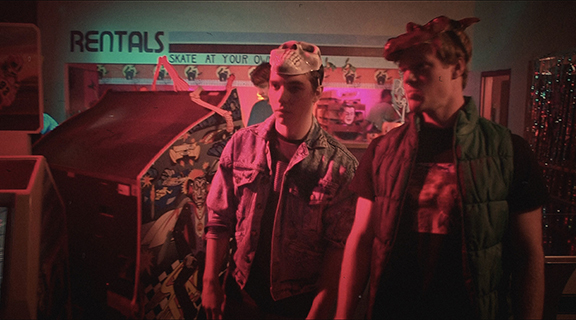 On Halloween night in 1989, best friends Sam and Josh are trying to enjoy what’s left of their final All Hallow’s Eve before graduating high school. 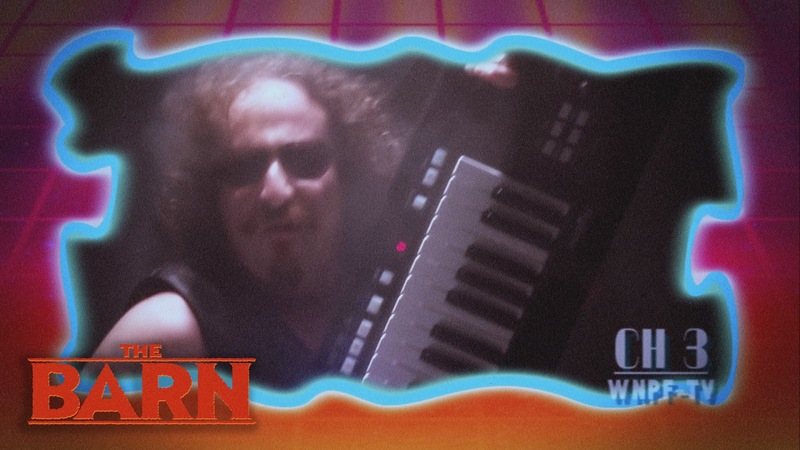 However, diabolical trouble arises when they and their friends take a detour on the way to a rock concert. 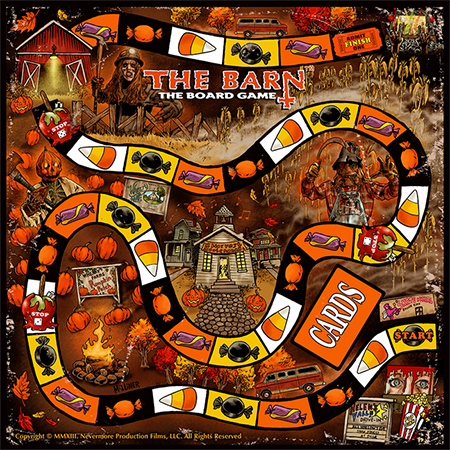 After finding an old abandoned barn and awakening the evil inside, it’s up to Sam and Josh to find a way to protect the group by defeating the demonic creatures that lurk within THE BARN. 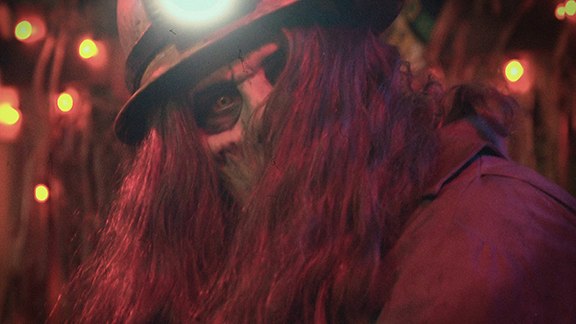 The film stars Mitchell Musolino, Will Stout, Lexi Dripps, Cortland Woodard, Nikki Darling and Nickolaus Joshua. 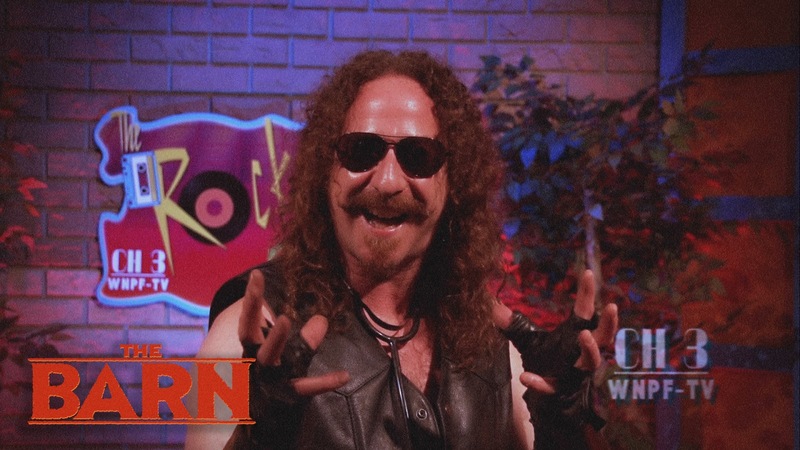 Nevermore Production Films has gained attention through its successful series of promotional avenues, such as the retro-style poster by Sadist Art Design’s Marc Schoenbach, an original film score provided by Rocky Gray (former member of the Grammy award- winning rock band Evanescence), and the contributions of Screen Junkies’ Honest Trailers’, Jon Bailey, who provides the voice-over track for the official trailer. 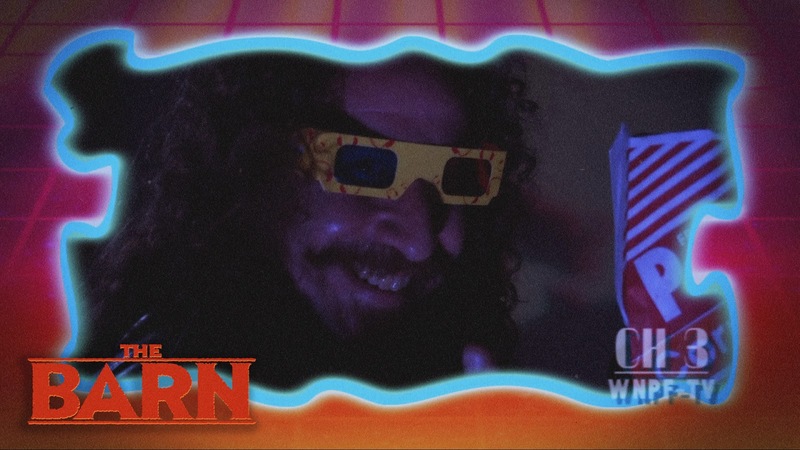 Additionally, the film’s 1980’s style marketing merchandise consists of action figures, T-shirts, a motion picture soundtrack featuring various artists from all over the world, and a board game with art provided by Horror Hound/Scream Factory artist Nathan Thomas Milliner. 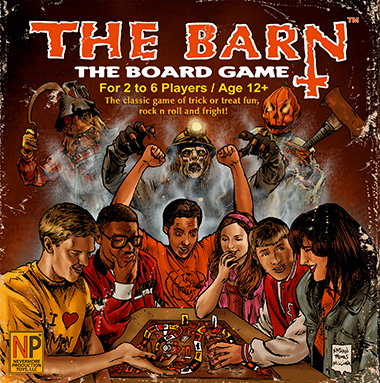 The Barn is scheduled to have its world premiere screening in Pittsburgh in October of 2015. 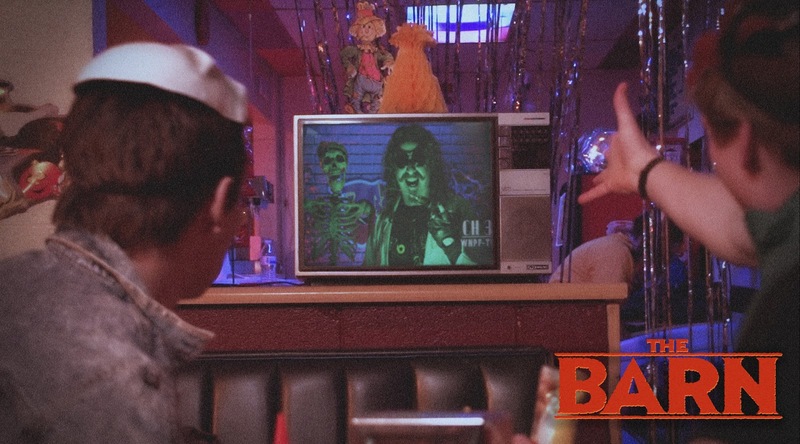 Check out the official trailer and see more exclusive images and art below, and then tell us what you think in the comments!